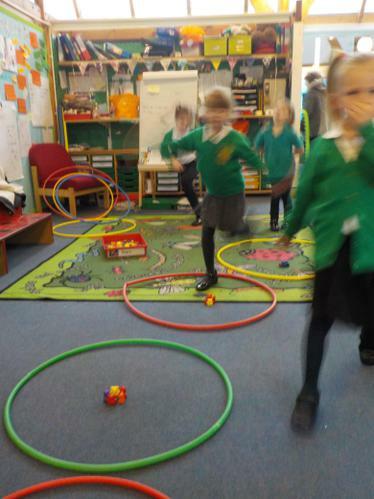 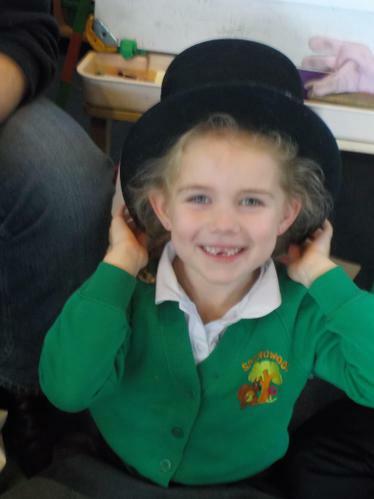 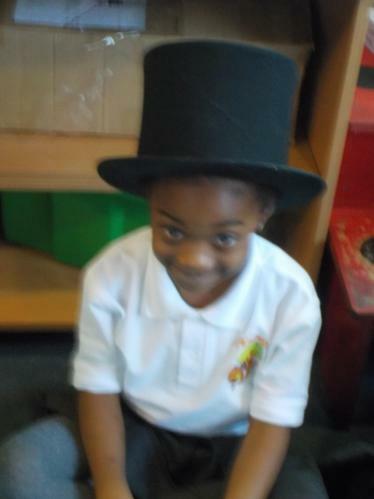 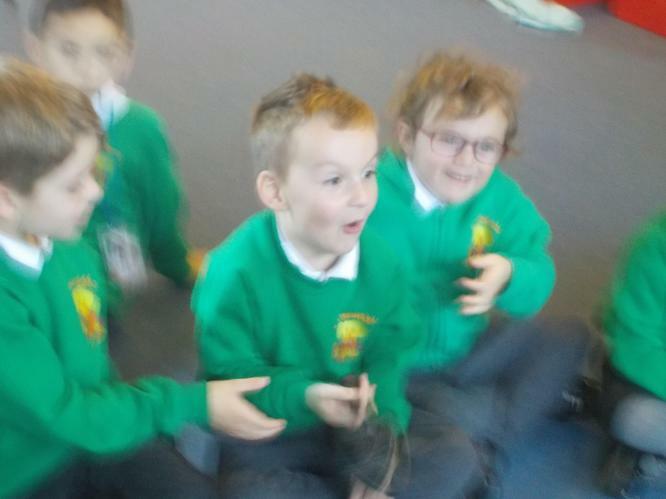 Welcome to our class page which we will update with all the exciting learning we have been doing. 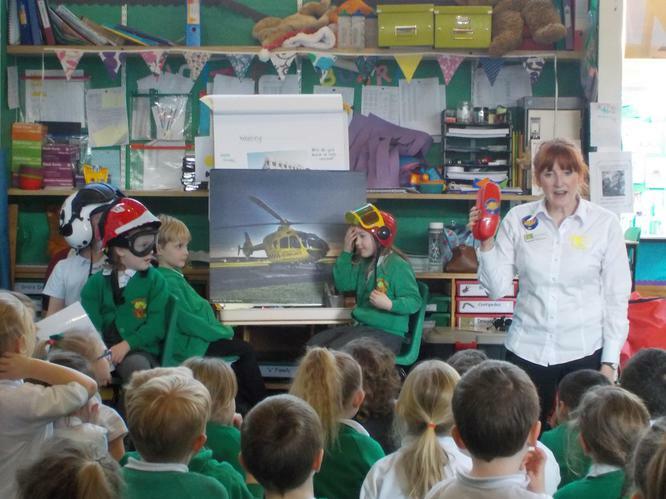 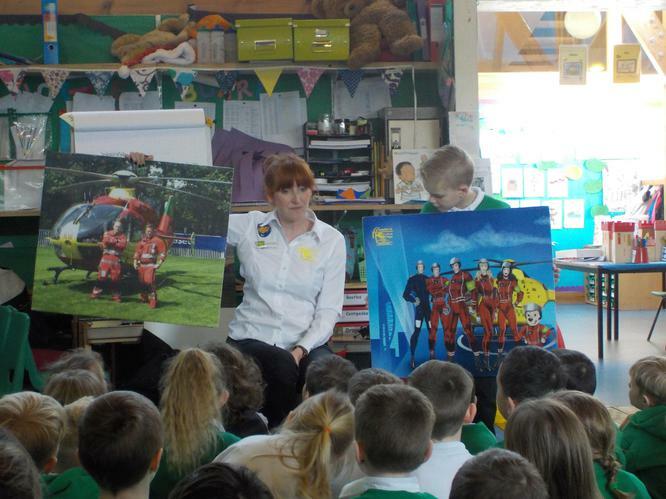 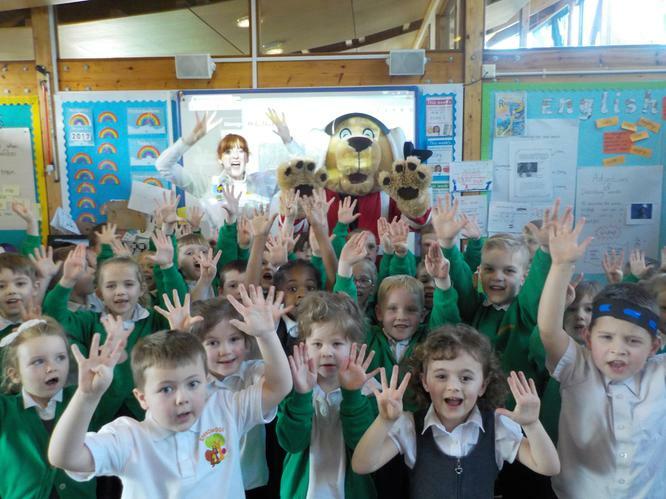 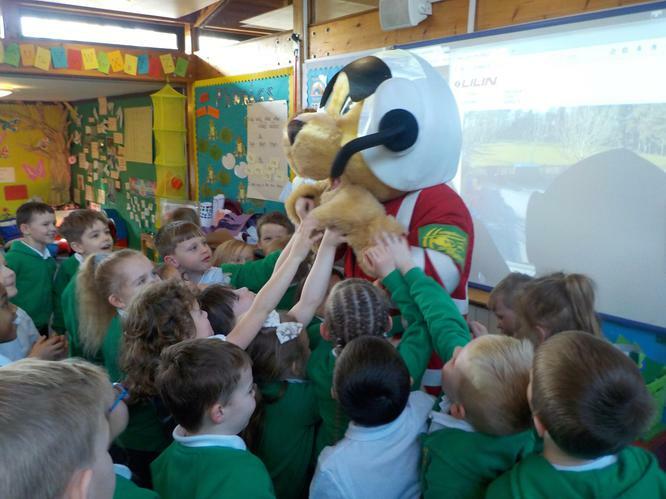 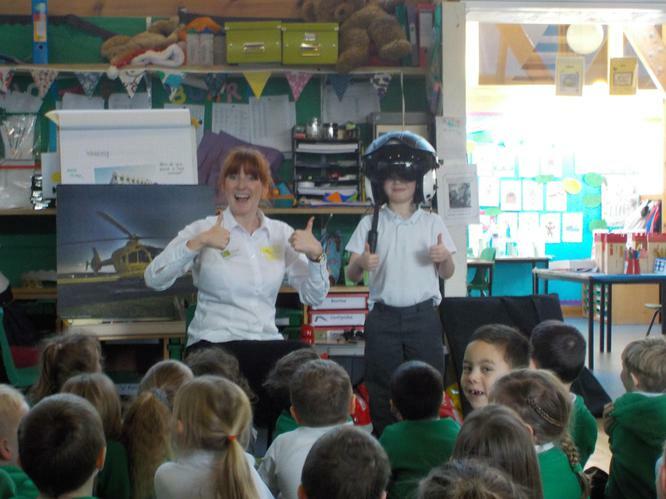 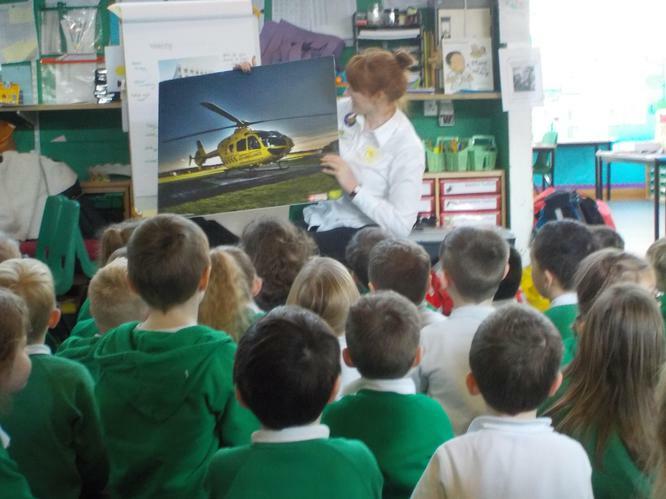 We had a special visitor from the air ambulance today called Jo. 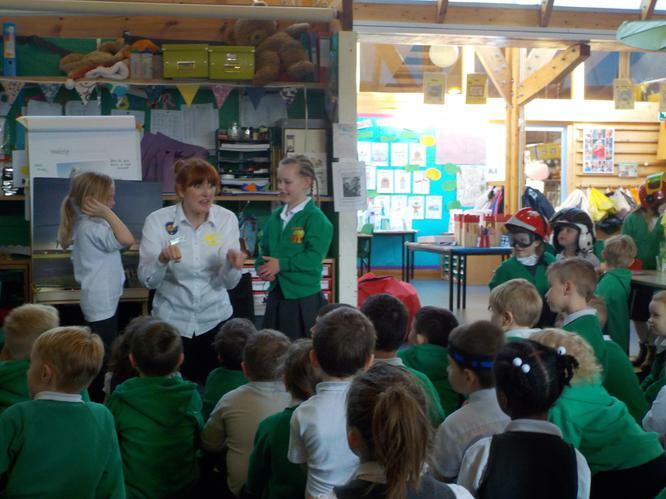 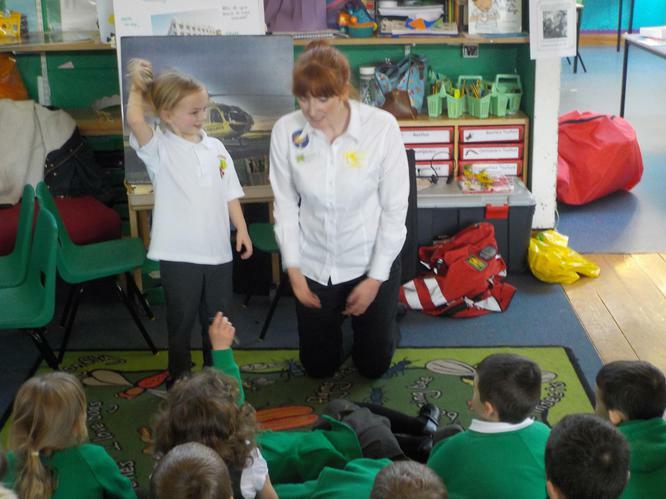 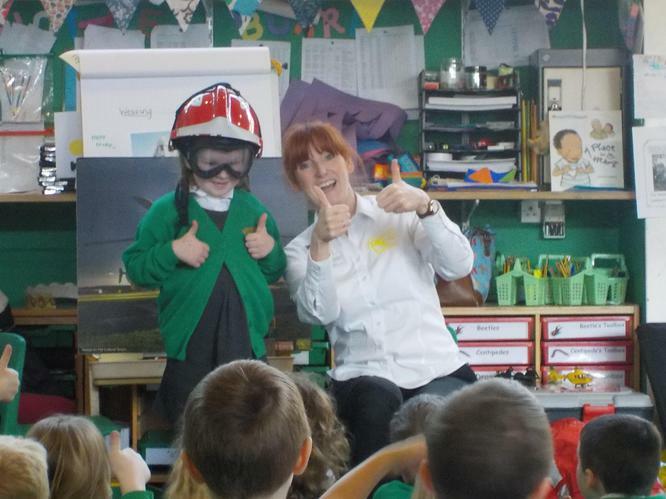 She taught us all about keeping safe and what to do in an emergency. 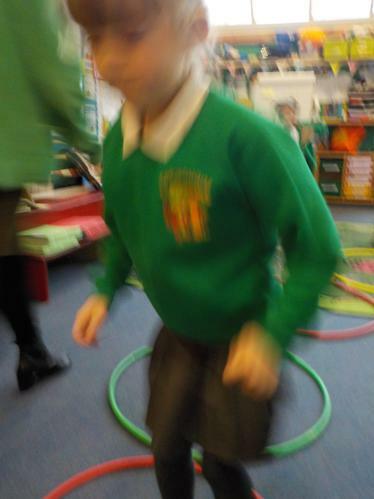 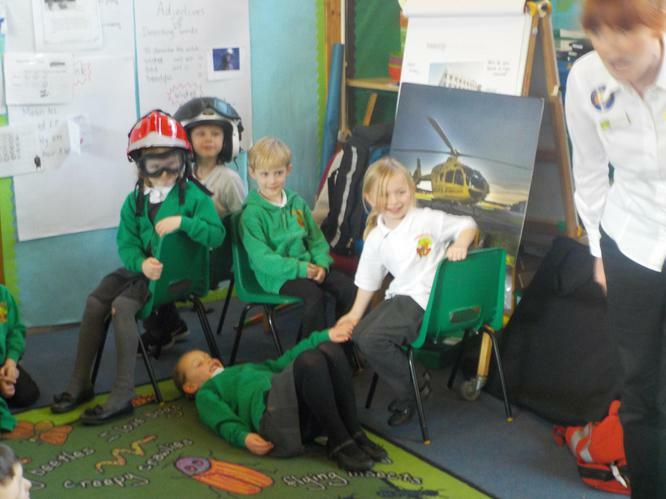 We learnt what an emergency was and what to do. 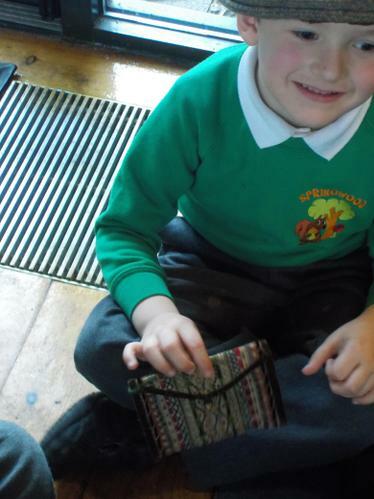 Call for help from adults around you. 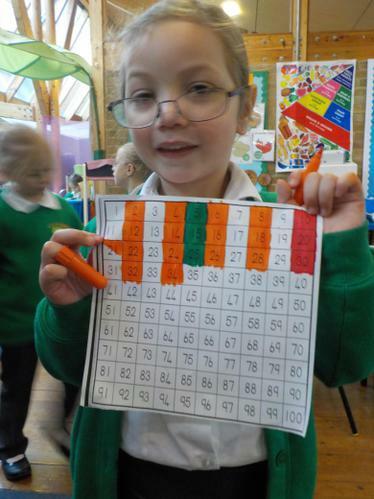 Tell them where you are and what is wrong. 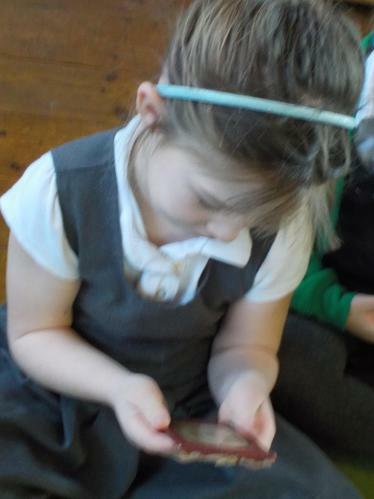 Help your children keep safe by showing them how to use your phone to dial 999. 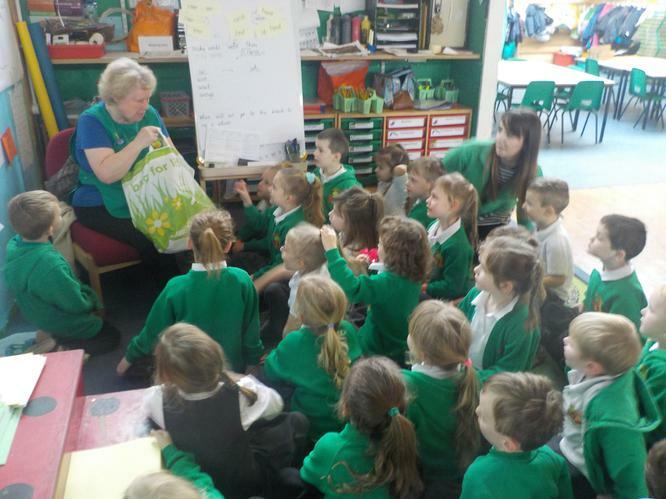 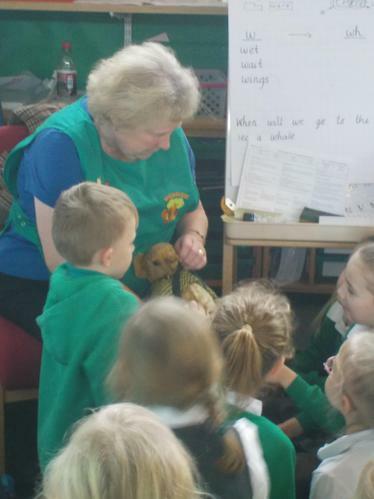 We had some special visitors today brought in by Mrs McErlean. 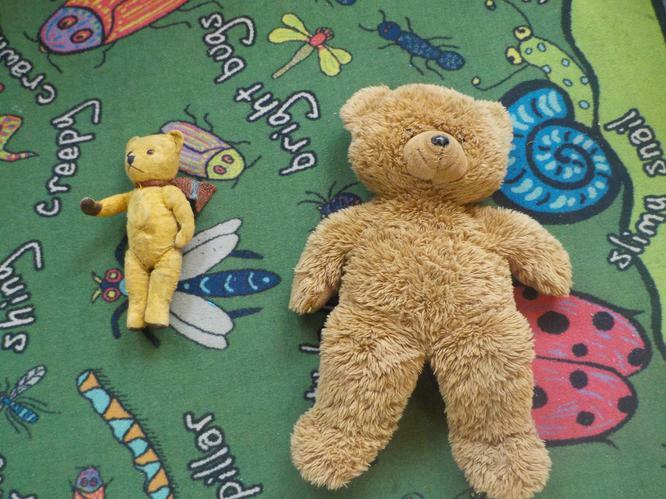 She brought in some of her and her husband's families old toys, some were even 80 years old! 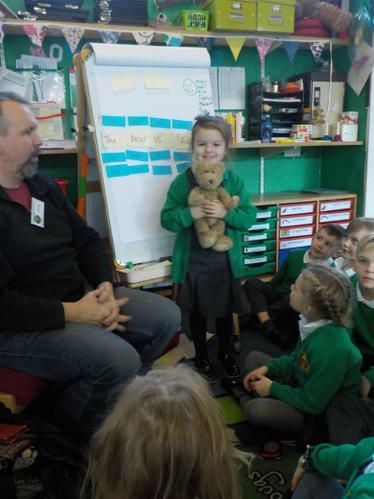 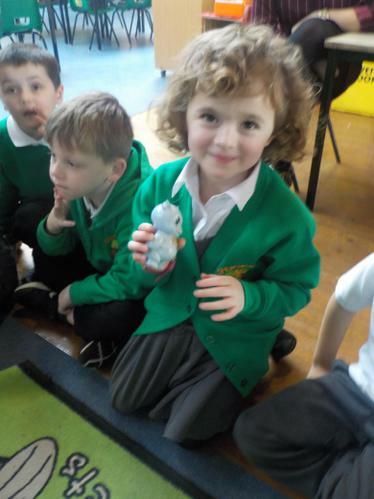 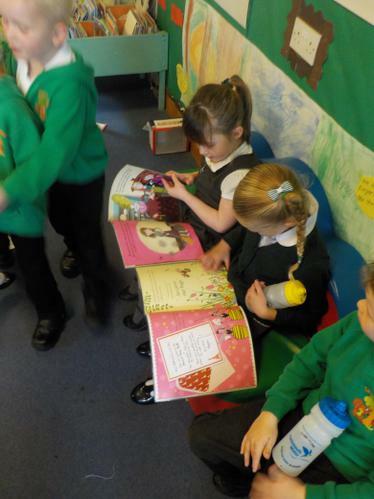 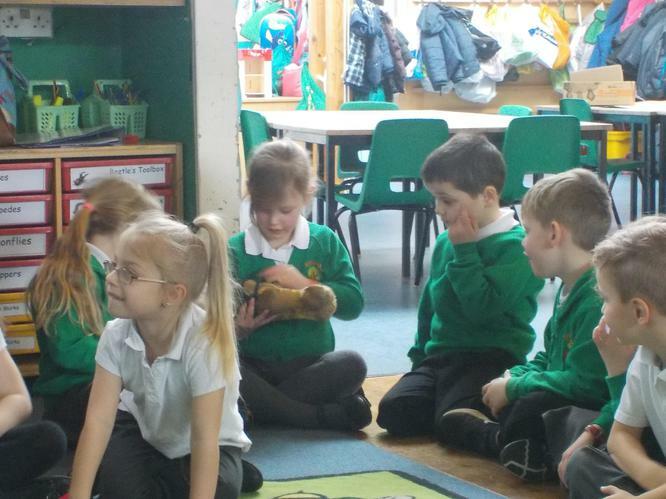 We enjoyed listening to stories about what toys she used to like and how they were different. 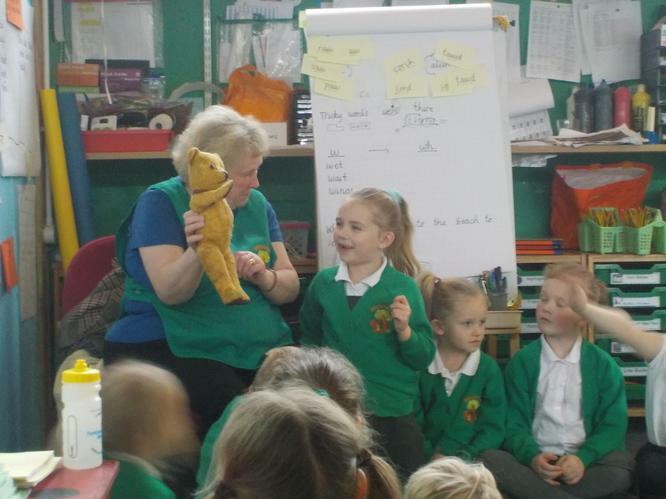 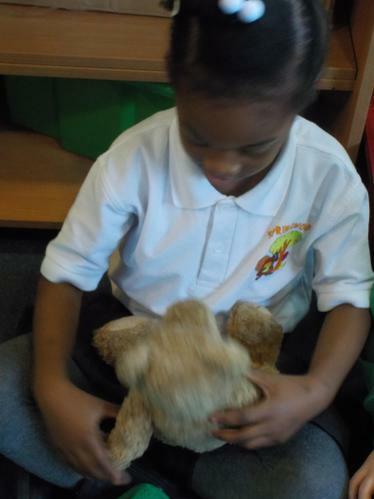 We then compared the old and new teddy and spoke about the moving parts, fur and stuffing had changed. 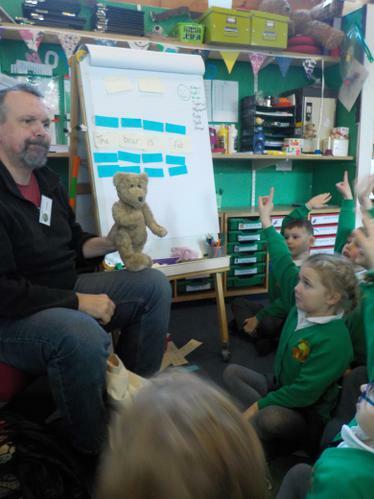 We also sent out a questionnaire to all the parents to find out about your favourite old toys, so thank you to all that sent them back in. 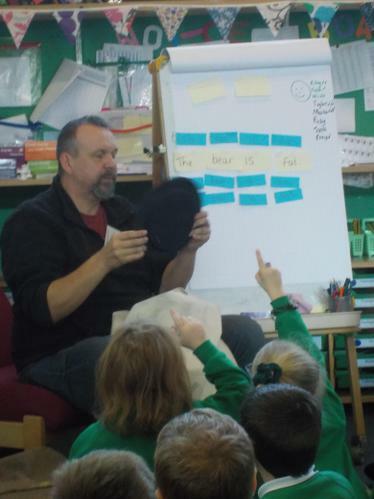 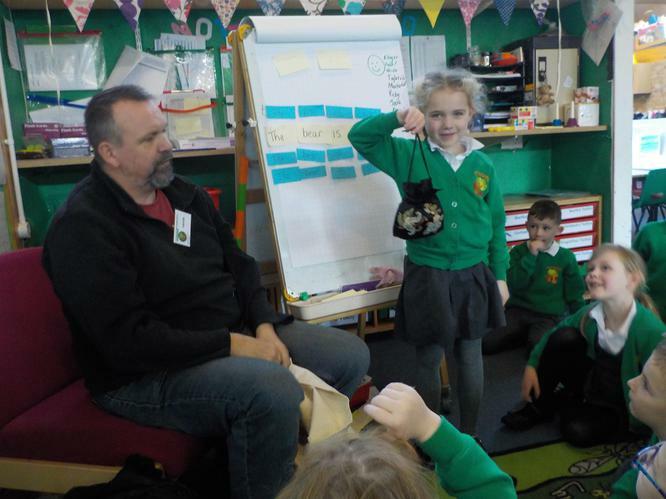 On Wednesday afternoon we had a wonderful visit from Paul who taught us a lot of interesting facts about the Titanic. 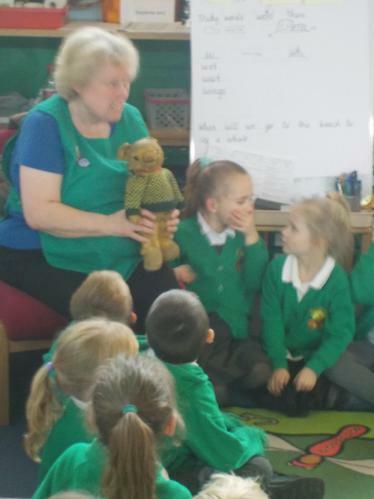 We met Ginger- a real teddy from the Titanic! 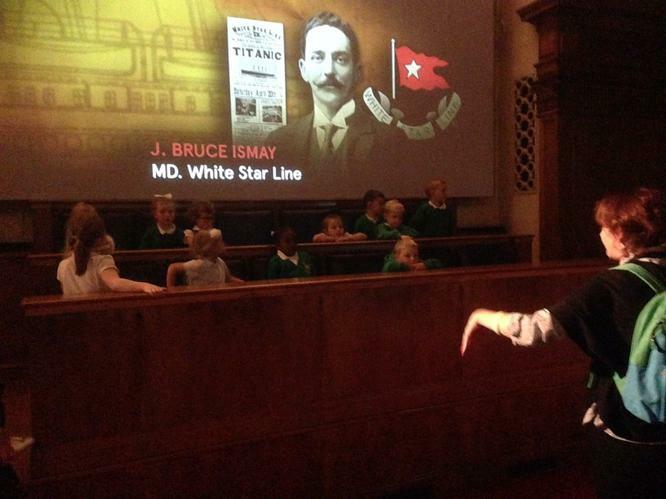 We learnt that after the Titanic sunk there were a lot of people who wanted to know what had gone wrong. 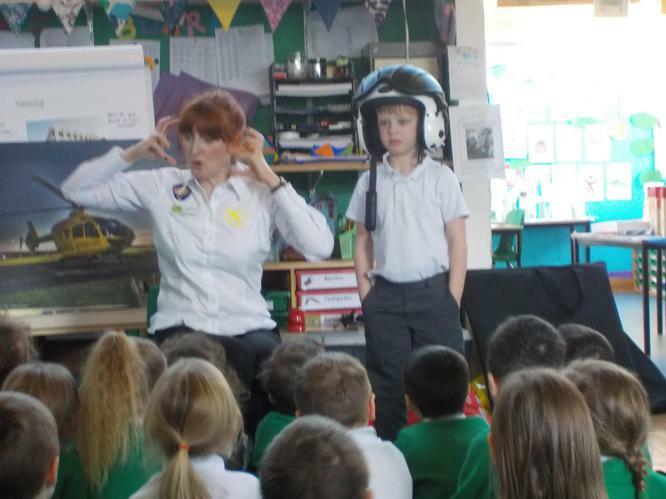 Did you know that the watchmen had lost their binoculars between Ireland and Southampton? 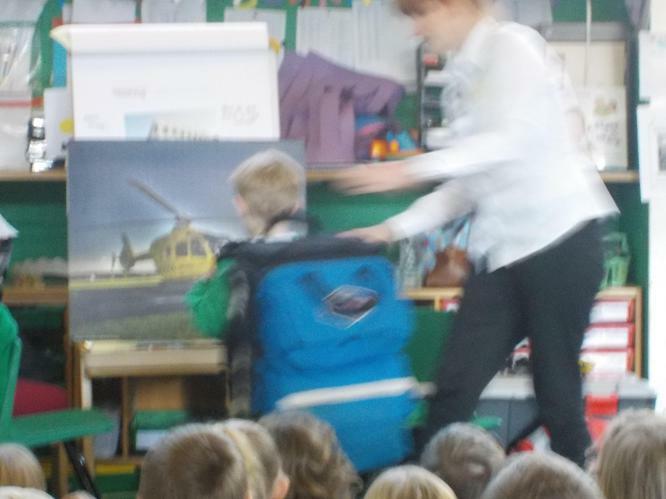 One person suggested that maybe they had been dropped in the water. 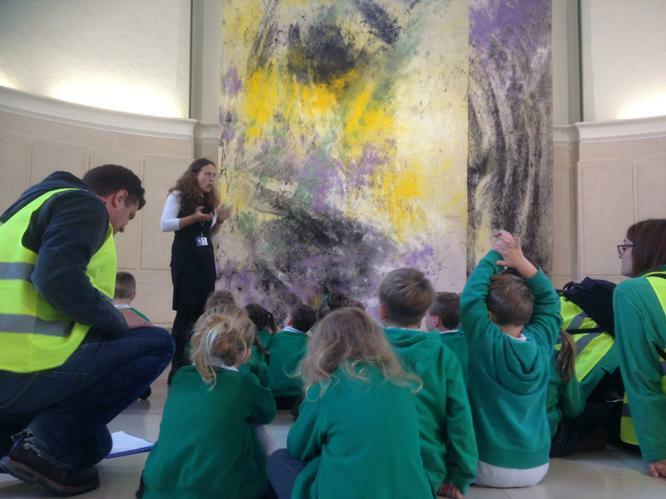 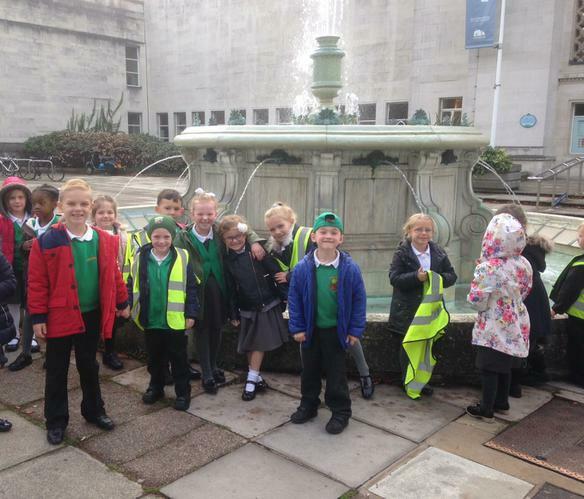 We had a wonderful visit to Southampton Art Gallery and the Titanic museum. 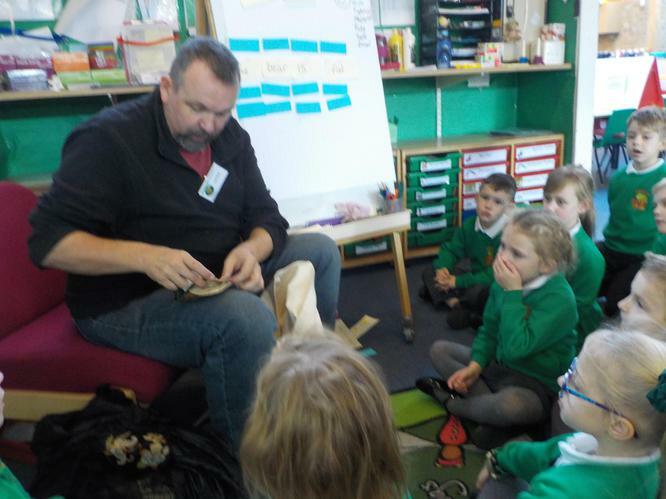 In the gallery we looked at different artists and had a work shop creating some masks we had seen in the museum. 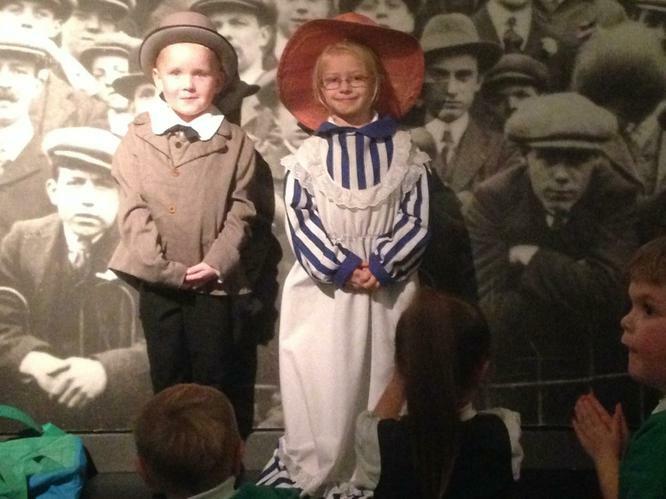 We loved shoveling the coal into the Titanic in the museum and leaning different stories about musical pigs! 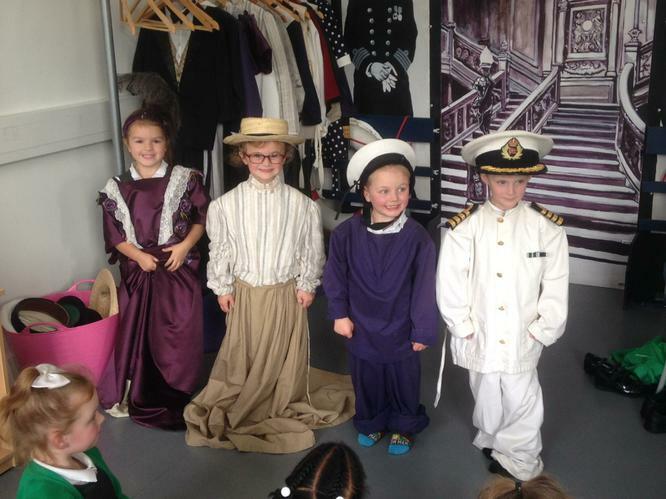 In the Titanic workshop we looked at how many compartments needed to stay watertight to keep the Titanic afloat and we dressed up as Titanic characters. 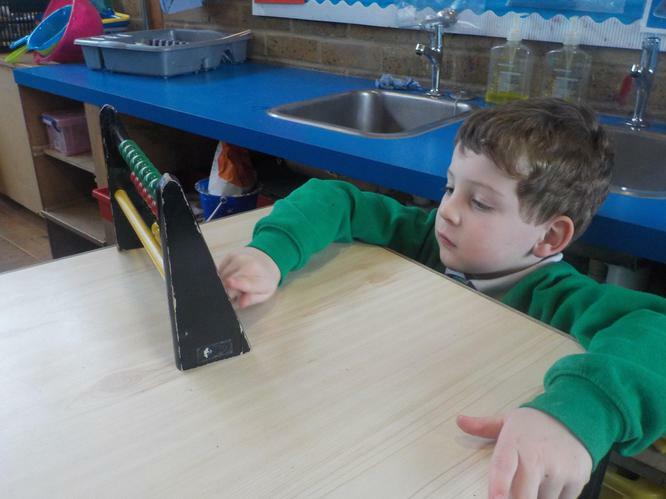 We have been busy setting up our new continuous provision in the classroom and outside. 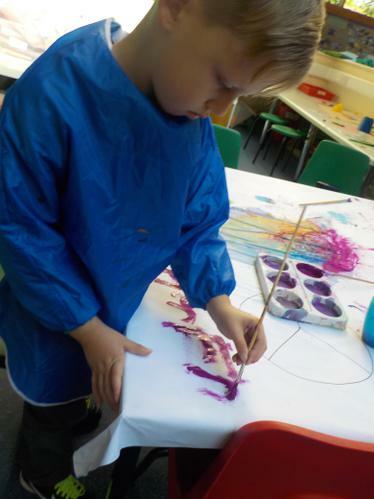 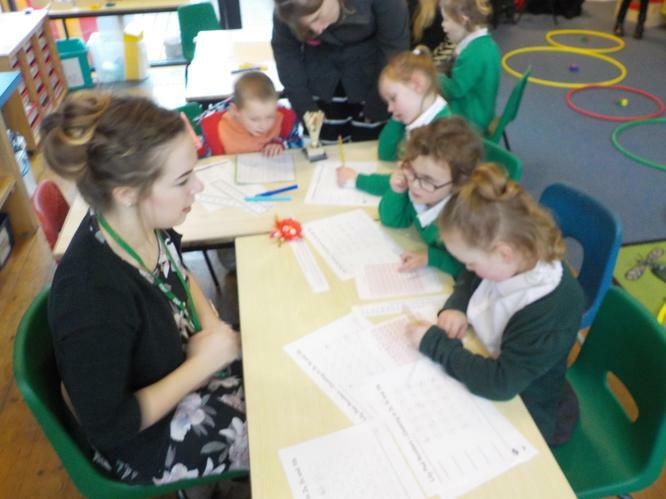 The children have the opportunity to take their learning to their interest. 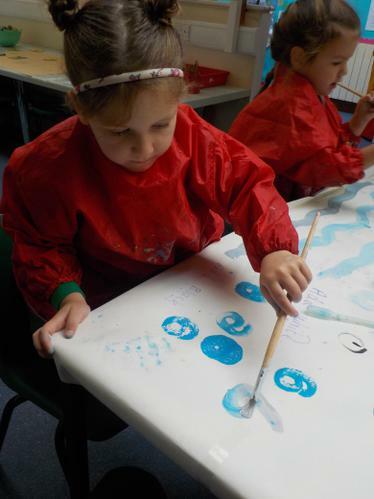 We have a painting table, book corner, play dough table, writing area, sand and water tray and many more. 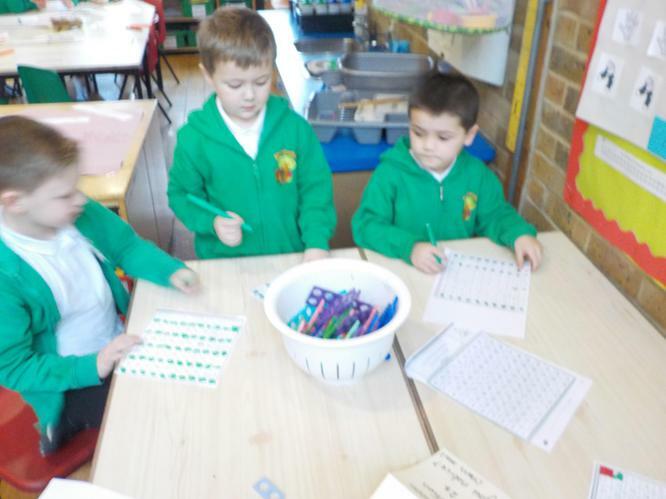 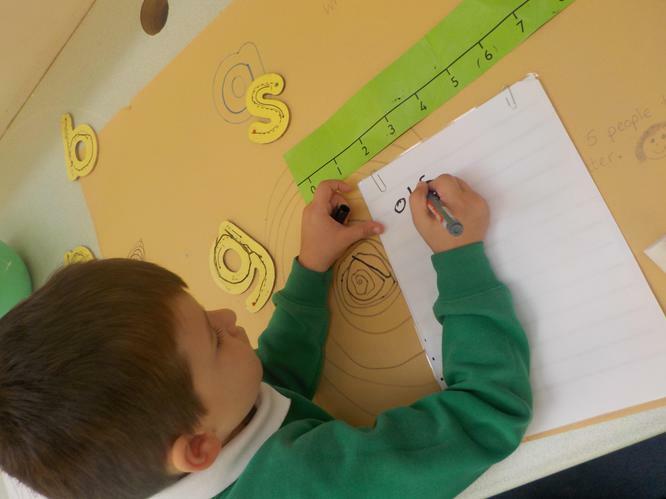 The children have enjoyed printing letters at the painting table, practising their letter formation in the writing area and sharing books in the reading corner.